"Pretty great spot in the hill country! Our group of 11 had been wanting to do a Texas wine tasting tour for quite some time and had some difficulty finding a place to accommodate such a large group for the night until our main planner found this gem. I think what we loved the most about the Isaac house was the ginormous deck that overlooked the tranquil hill country...it was beautifully lit and allowed us to talk, act, and connect after a long day of day drinking ;) While we ended up staying up most of the time outside on the deck, I would say the interior is uniquely decorated and the piano was a nice touch." "What a great spot! This was the perfect home base for our recent wine tour weekend with friends." "At the end of a fun day, we loved cooking dinner in the spacious kitchen and relaxing on the gigantic deck that's filled with porch swings, beautiful trees and hill country views. There were more than enough bedrooms and the house was extremely clean, well maintained and had all of the amenities you'd expect. We'll be back!" "I highly recommend Heart of Texas Ranch!" "The view was amazing and the house was perfect for a big group. Inside the house was very trendy and super clean. I will definitely be coming back for another trip (:"
"This place has a breathtakingly beautiful view. " "There are plenty of rooms for a big party. It was a relaxing atmosphere & the deck would be perfect for an intimate wedding ceremony & reception, especially in the evening. Would recommend for weekend getaway or wedding venue. Loved it!" "Paired with the wine tour, you cant beat this weekend getaway!" "The Ranch was beautiful and peaceful! The home was clean, spacious and warmly decorated. It was the perfect place to unwind and relax with a large group of friends." 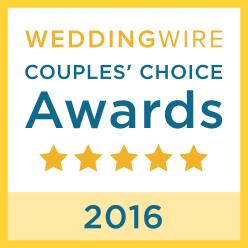 "The owner Dale is a gem and will really work with you to make your wedding perfect. Any Texas girl would love this venue!" "Heart of Texas Ranch really came through for my wedding. We rented the ranch for the whole weekend, and we had an absolute blast the first night. The day of the wedding...it started to rain an hour before the ceremony. The staff moved all of the tables and decorations inside, dried off the ceremony chairs when there was a break in the rain and totally saved the day. Then since we couldn't dance on the deck...they set up the barn and got two boys to transport all the guests down by golf carts. It was a beautiful wedding and they made everything so special. I was lucky to have found this place! We were able to have thirty people sleep comfortably, and then makeup vanities in the master bedroom were gorgeous. "I honestly wouldn't change a single thing, and our family all agreed. Definitely recommend this beautiful venue!" 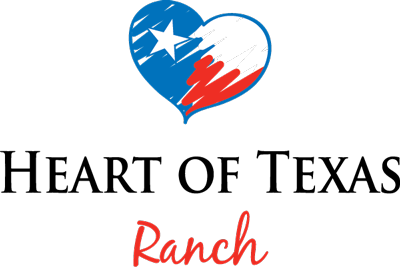 "We cannot say enough good things about Heart of Texas Ranch! We rented this property for a small wedding. My husband and I, and all of our immediate family stayed in the large house. It was very large and accommodating to our needs. Everyone had their own rooms and we loved sharing the common space. The master bedroom is very large and a great place to do hair and makeup. It made it very easy to make breakfast instead of going out. We loved hanging out on the huge deck. We also had our ceremony and small reception on the deck. Dale, the owner, was so accommodating. Every time I called, emailed, or texted, he got back with me immediately. I really appreciated dealing with a private owner. He made everything simple and easy for me." "What can I say but awesome! If your looking for a venue that truly embraces the Texas Hill country look no further!" "The scenery is beautiful and the venue is a perfect for a destination wedding, that can include both the bride and grooms families or friends. I have many family members that are from the hill country, and still they were impressed. I wanted my wedding beautiful , but I also wanted relaxed and fun. We got all of that right here. Did I mention the value? If your a bride that has checked into any wedding venues yet, the pricing can be scary. But not here. I think you will be pleasantly surprised . Loved it, loved it, loved it. Thank you Dale and The Heart of Texas ranch!" "We are so happy with how everything turned out and my new husband and I can’t wait to go back and visit!" "The Heart of Texas Ranch is the perfect place for a hill country wedding. It’s got 2 very beautiful houses on the property. Perfect for the bride and her family to have one house and the groom and his family to have the other house. Both houses are very cozy, stylish and can accommodate your every need. I had my wedding there last weekend and it was everything I hoped for and more. Beautiful scenery, peaceful environment, and that deck is AMAZING. We got married down in the grass under a huge gorgeous tree and had the reception on the deck under the stars. The pictures came out amazing!!! The owner of the ranch, Dale, was super helpful and great to work with."